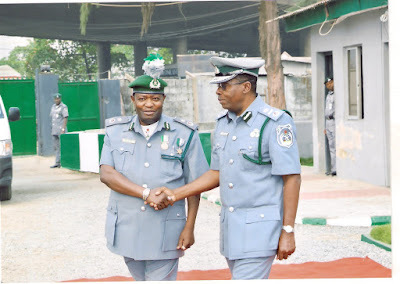 The Nigeria Customs Service is gearing to inaugurate its two newly-acquired vessels; 'Customs pride' and the 'Group of Nine'. Controller of the Western Marine Command, Umar Yusuf, said in an interview that the vessels which were acquired in 2015, would serve to boost the customs operations at the Eastern and Western Zones each. Yusuf disclosed that the ‘Group of Nine’ which would serve the command, would be maintained for the next one year by the company that brought the vessels in because the vessel must be handled by the right crew. He said in that regard, the marine officers of the command would be duly trained by the Nigerian Navy. He said that when operational, the vessel would boost the operations of the command in fighting smuggling within its jurisdiction. The controller said that the command had recently repaired 14 of its boats for operations, while new infrastructure is being developed to create conducive work environment for the officers and men of the command. It would be recalled that the 'Group of Nine' commemorates the nine gallant officers of the command who lost their lives fighting smuggling.